HearSayLW: Listen and Learn with Summertime Would You Rather? Questions. 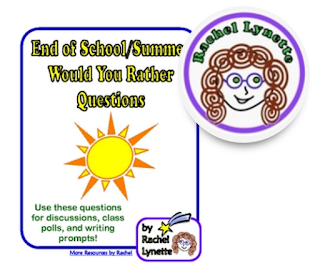 Listen and Learn with Summertime Would You Rather? Questions. or those with an auditory processing disorder. Present these intriguing questions through hearing alone to target auditory memory, auditory processing and comprehension abilities. 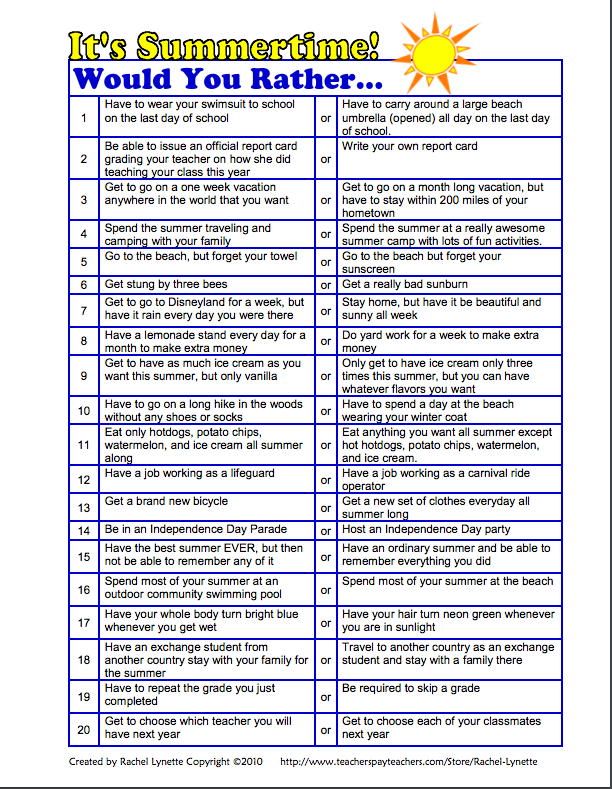 This activity is great for practicing critical thinking because they require the listener to evaluate two different, but seemingly equally appealing (or unappealing) options and choose one. Expressive language skills are expanded as their choice is explained and defended. Click here for your FREE download from Minds-in-Bloom.